Mud baths, updated motels, top resorts, find the BEST hotels in Calistoga with Local Wally's Napa Tourist Guide. Photos, unbiased reviews, cheapest rates. At the northern tip of Napa Valley is Calistoga, a small town with an odd attraction - mud baths and hot springs. Once the home to Napa's most affordable lodging, newer 5 star resorts have wedged in and have turned Calistoga into a downright chic place to stay. Happily, many of the affordable motels are still standing and some have gone an amazing transformation from Bates Motel scary to W Hotel trendy. And yes, there are still mud baths in the area, including the famous Dr. Wilkinson, the guy who made it famous. Plenty of good dining and wineries in the area, it used to be a compromise to stay in Calistoga but no longer. Still a great place to stay for those visiting Napa on a budget but an equally fine choice for those looking for no-compromise lodging. Click to Email Me for Free Advice! Get a Wine Pass and take advantage of the seven wineries in the area offering deals and discounts, including an exclusive offer from Castillo di Amorosa, the incredible Napa Castle. Free tastes at Clos Pegase, discounts on the tram ride at Sterling, plus two for ones at a number of top rated boutique wineries that don't hit the usual tourist's radar, great for escaping the crowds on a typical Napa day. Remember, get a Wine Pass if you want to visit Napa on a Budget! Order Now, still only $39.99 with promo code localwally, normally $125. 5 star luxury from the same folks who own Auberge du Soleil, Calistoga Ranch is tucked away down a country roadside and among the trees on a hillside. The rooms, ranging from 600 to 2,400 sq feet, are free standing buildings centered around a shared outdoor living area. Stunning design, you'll think you just walked into a home design magazine. There's a spa, of course, their own wine cave and private labeled wine, cooking demos, wine and cheese tasting's... you get the idea, this is the good life. Dining is equally exclusive, no "outsiders" allowed. They even offer lakeside dining under the stars. Simply amazing. Yes, at first glance Solage Calistoga might look like Jimmy Carter Habitat Houses but trust me, you're not going to see Billy Carter guzzling a beer anywhere near here. This is a high end resort, the rooms and bungalows are plush and luxurious and the Michelin Star restaurant, Solbar, attracts people from all over the valley. Of course there's a full spa to go with this, an active resort style pool and lounge area, fireplaces, patios, some rooms even have their own outdoor hot tub. Yoga, mud baths, mineral baths, Solage Calistoga Resort is honeymoon ready and a top pick for a romantic splurge. 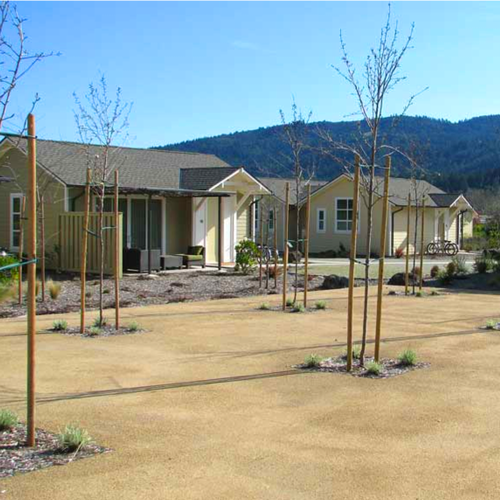 Luxurious, well appointed, top notch Solage Calistoga. 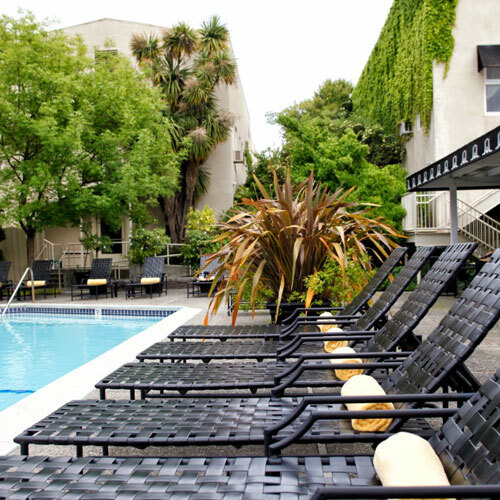 The historic Mount View Hotel and Spa blends the old with the new in a way that is contemporary, trendy, and stylish - while still keeping the rates down to Earth. The location is great - right in the historic downtown area. 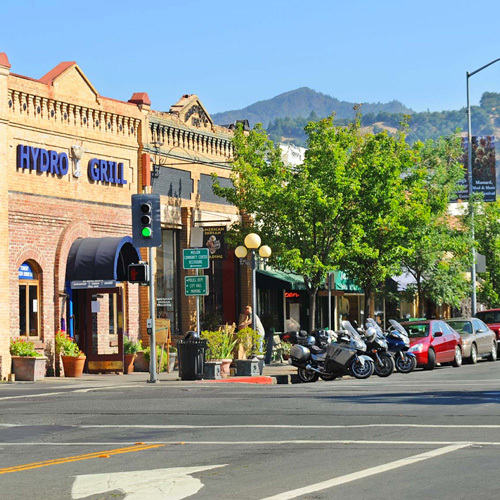 You'll love being able to stroll the downtown area after wine tasting, checking out the shops and the great restaurants. Rooms are boldly decorated, some suites, some cottages, pick wisely if you want a jacuzzi tub or other deluxe amenities as all rooms are slightly different. Nice pool in back with cabanas, a perfect hotel for those looking for a reasonably priced hotel with a lot of personality. From the outside Dr. Wilkinson's Spa and Resort looks more like a 50's motel than a resort. You half expect to see film noir stars Fred MacMurry and Barbara Stanwyck standing outside smoking cigarettes and plotting a murder. But inside the rooms are, well, nicer than you would think. There's even a cottage out back and if the pool looks likes like it's from your college apartment perhaps that's part of the charm. Bring your own cooler. The real attraction are the mud baths and massages and if you're ready to take the plunge then this is the place. Dr. Wilkinson is not as dirt cheap as you might think so make sure you are the adventurous type! 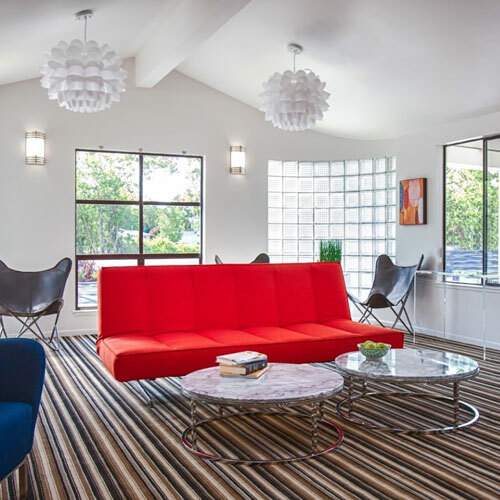 Old motel transformed into a mod happening place that Austin Powers would love. Yeah, baby, it's retro groovy! Historical hotel from the 1800's upscaled to modern tastes. 2 mineral pools, hip hotel, fireplace lounge, spa. Mud baths, hot springs, friendly and unpretentious resort spa, quaint and charming, so unhip it's cool.